"A refreshing instant summer drink! You can enjoy the drink as soon as you make it." Finely shred ginger into a bowl. Zest lemons and add zest to ginger. Mix sugar and juice from the lemons into ginger-lemon zest mixture. 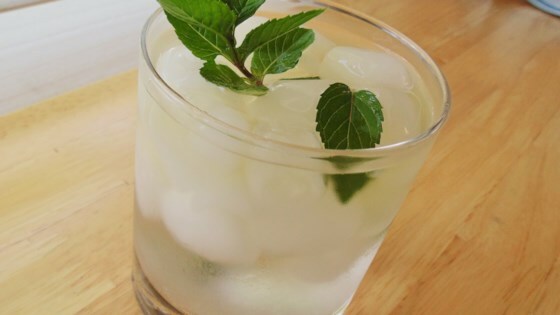 Combine ice and mint leaves in a large jug or pitcher. Strain ginger mixture through a sieve directly into the jug; stir in sparkling water.